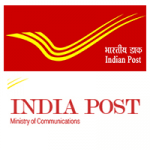 India Post is the body, governed by the Ministry of Communications of the Government of India, which operates one of the most widely distributed and complex postal networks in the world. 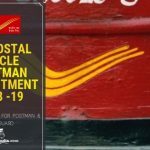 With more than 1,50,000 post offices under its belt, India Post plays a crucial role in the lives of Indian citizens in a myriad of ways: delivering mails, accepting deposits under Small Savings Schemes, providing life insurance cover under Postal Life Insurance (PLI) and Rural Postal Life Insurance (RPLI) and providing retail services like bill collection and sale of forms. Besides, it fulfills other citizen welfare functions, such as Mahatma Gandhi National Rural Employment Guarantee Scheme (MGNREGS) wage disbursement and old age pension payments on the Government’s behalf. 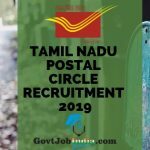 Some of the job positions that India Post recruits for include Accountant, Clerks, Multitasking Staff, Postman, Staff Driver, Sorting Assistant, Steno and Coordinator, among others. 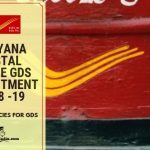 Haryana PostOffice is looking forward to hiring capable individuals for the post of Gramin Dak Sevak by means of the Haryana Postal Circle GDS Recruitment 2018. 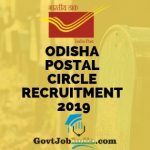 Madhya Pradesh Postal Circle Recruitment has announced recruitment notification for the post Gramin Dak Sevak eligible candidates can submit their application before February 19, 2018.